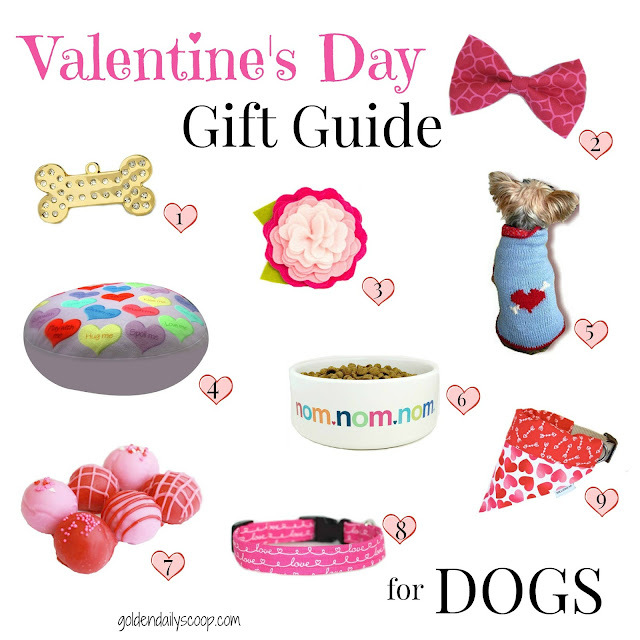 Our dogs deserve to feel special on Valentine's Day so we thought it would be fun to share some of our favorite Etsy finds! Those are some great gift ideas! I is finking of ordering one of each...or...maybe two!!!! The collar and the food bowl are adorable! Those are adorable!Love the bow tie! Those are great gift ideas! I love the pink collar! Great guide! I think my Huskies would love those truffles! Sharing over on our FB page! I love Etsy, and these are great finds! Thanks for sharing! That bow tie is darling! Great finds. My Fave is the nom.nom.nom bowl. My dogs love puzzle toys! We love those gift ideas. My goodness, those truffles are making me want sweets! I need to check out that shop and also that hot pink collar one. SO cute! The heart sweater is adorable. This is such a good idea for a post... nice design too. Those truffles look good enough for me to eat! Oh I want the sweater for Bruiser- so cute, great ideas! Great finds! Now I'm all inspired to go shopping! Love the nom nom dog bowl and Kilo would look adorable in the heart sweater! OH MY! These are fun Valentine's Day gifts. I'm going to have to order a few things. Thanks for sharing. Cute cute cute! Love the bandana and the little sweater. Great gift ideas! What great finds on Etsy! What great finds, that dog heart bed is so cute. You're right, our pets deserve to feel especially special on Valentines Day! Thanks for this great roundup, my faves are the bling tag (I love bling!) and the heart/bone sweater, super cute! Thanks for sharing. I think Number 3 would not get to us kitties as Mum would wear it in her hair MOL!!! We ordered some yummies for Dexter and are going to a Valentine's meetup for dog lovers, too. Great post. What fun things for my woofie friends!